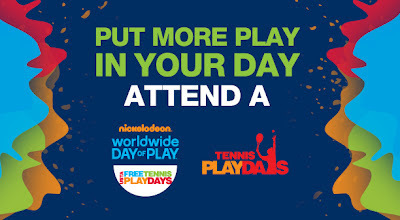 Get Your Kids Active - Give the Gift of Tennis! September is National Childhood Obesity Awareness Month and tennis is a great way to get your kids active! Join the USTA and support our drive to fight Childhood Obesity with Tennis! Kids (of all ages) can try out the sport at some of these free fun events - rackets, nets and courts that are sized right for their age. From September 1 through October 31, these events are for kids of all ages and skill levels. Find a local youth tennis event near you! This is really an amazing event, where we have found some awareness programs to promote tennis as well as health and fitness among the kids. There are several kinds of health benefits of playing tennis and most people are choosing this game to stay fit and active and reduce some amount of extra fats.